EDCO Supply Corporation is a leading supplier of protective packaging products across the US. We have a huge product line with something to offer for every single type of business need. Often times, it pays to invest in the best possible protective packaging for your business. You simply cannot afford to deal with damaged products, upset customers, and expired goods as a result of poor packaging. One of our all-time best-selling protective packaging products is our military tape. This tape is incredibly strong and provides a lot of versatility in terms of what you can use it for. 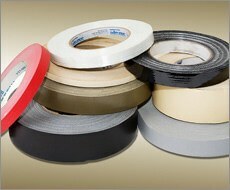 Below, we will discuss a few of the common uses you can take advantage of with our military tape. If your business is moving and you are in need of something that can make your life easier during the arduous task, you can always rely on military tape to come through. You can use military tape to pack up boxes and keep them closed. That way, your move will be much easier. EDCO Supply Corporation offers military tape that is sure to hold up and stay strong enough to keep your boxes together throughout the move. You can even use our military tape to label the boxes by writing directly on the tape. This is an essential product with tons of different possible applications, and it will certainly make things easier during your next move. If your business deals with large amounts of physical inventory, you likely will need to pack some or all of it away in boxes. Storing items away in boxes can help you efficiently use warehouse or office space and maximize your profitability. Military tape is essential during that process. You can use military tape to safely secure boxes of all different types and ensure that the items within will not be exposed. This approach can lead to a more organized business. Another innovative use for military tape is to use it to make repairs on various items. Military tape is so strong that you can rely on it to hold things together and provide assistance during a repair. You really can’t go wrong with purchasing this amazing protective packaging product. Every business will find a use for military tape at some point during their existence, so why not purchase the best from EDCO Supply Corporation?